The big news this week is that Yankee baseball player Alex Rodriguez admitted to using steroids. Almost everyone is shocked that this particular athlete resorted to performance enhancing drugs – even though so many others have already admitted or have been strongly accused of this behavior. When it comes to anything competitive – whether it is baseball or the boardroom – those with the burning desire to win are always looking for anything that’ll provide any sort of an edge or an advantage. You know, the thing that, at the margin will allow them to succeed at greater levels than those around them. – And, of course we would like to succeed – with promotions and pay raises! The single most valuable, important and immediate performance enhancing tactic for leaders is to be learning new things! I believe this with whole heart – you may know that from reading my writing in the past. I devoted a whole chapter in Remarkable Leadership – Unleashing Your Leadership Potential One Skill at a Time to it. The title of that chapter? Remarkable Leaders are Continual Learners. 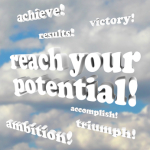 Very few leaders can clearly define what is holding them back from greater performance. They are either too close to the problem, aren’t sure what they need to improve on most or aren’t even thinking about it at all! 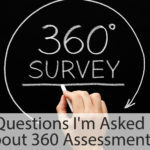 In my experience the “shot in the arm” that will get people past all three of these issues is a 360 Degree Leadership Assessment. 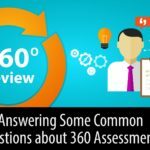 In case you don’t know, a 360 Assessment provides you anonymous feedback from your boss, your peers and those you lead – truly a 360 degree view of your capacity, skills, behaviors and habits. After your feedback is gathered you receive a report. That assessment report outlines the feedback in a way structured to help you gain the maximum insight from the thoughts, feelings and experiences of your colleagues. When you couple that assessment report with skilled coaching to both help you understand the results and more importantly to help you build an action plan for your ongoing improvement, you have the ultimate performance enhancer. Whether you are reading this thinking about your own personal leadership development, or are thinking about this from a corporate or executive leadership perspective, you owe it to yourself to learn more here (and click on How Can I Assess My Leadership Skills)- even if you have used Leadership Assessments in the past and want to leverage them more successfully.